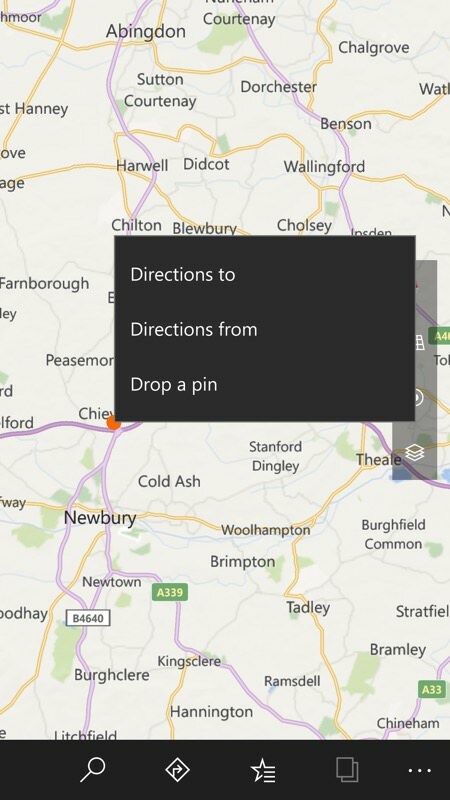 Multipoint routing in Bing Maps or Windows Maps? Okay, I must confess to feeling rather dumb. I cannot figure out how to do anything more than A to B routing in either Bing Maps online or Windows Maps. Has anyone figured this out yet? Or is it just not possible at this time? ...Or is it just not possible at this time? That is my understanding: Win10Maps cannot anything more than A to B routing. I figured that out a week or so ago. And then forgot!! So simple. So stupid! And now I recall that you can even rearrange them easily by just grabbing the letter in front of a stop and dragging it up and down in the list. I think the 3 little dots at the left are the grab "handle"
Must not be a "+" sign in the Win10Maps route builder? Must not be a "+" sign in Win10Maps? No Plus sign, no nothing. I've searched the Internet and everything I find pretty much confirms that Windows Maps can't. While that is disappointing, it's not unusual compared to its direct competitors, except the main one: google maps. But if using S&T for long route planning anyway, Win10Maps' lack of multi-point routing is less of a factor, thanks to the ease with which Copy & Paste works on Windows. Compared to Android, it's breeze. The other methods of transferring a multi-point route from google.com/maps to the GoogleMaps app require internet access. No multi-point nav also eliminates another real problem multi-point navigation: the app may not "know" that you've passed one of your stops, and continue to direct you back to a previous stop. I encountered many instances of CoPilot doing exactly this, just because the physical stop was in the parking lot, evidently too far away for CoPilot to "know" we had arrived. Unless I manually marked the stop as reached, those (mis)directions continued, unaffected by travel along what was obviously a subsequent part of the route. The CoPilot manual says you only have to get within 200 feet of a via point for it to "know" about it. obviously it must be a lot less (too much less, IMO) for a stop. Ken or TCassidy - are you able to change routes by dragging in Win10Maps? ...Similar to Bing.com/maps (and most others)? 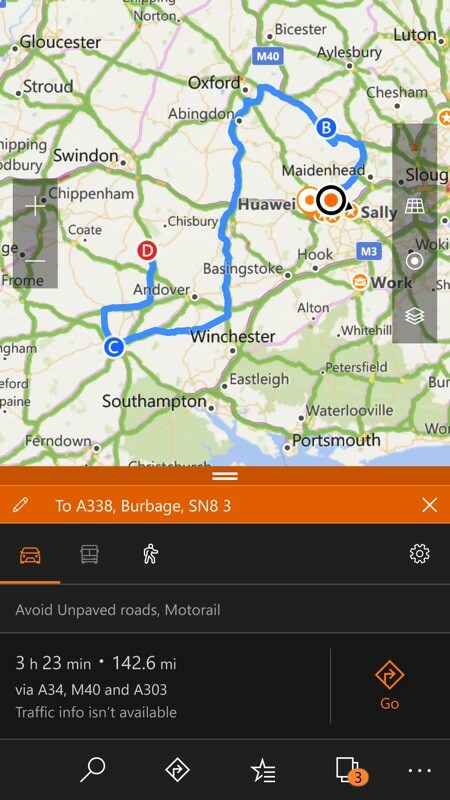 ...are you able to change routes by dragging in Win10Maps? ...Similar to Bing.com/maps (and most others)? 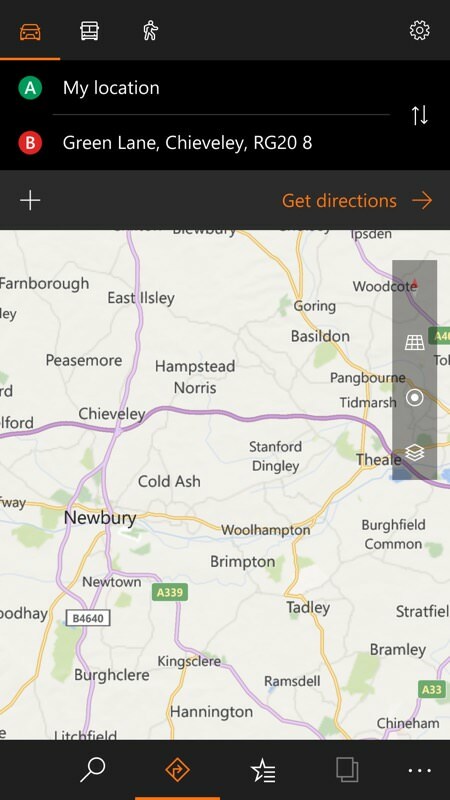 About the only practical way to go directly from S&T (or other WinOS route planner) via copy&pasting a single-line address into a nav app is Win10Maps, and not only is it unable to do multi-point routes, the routes can't be altered manually either. And other than CoPilot (which doesn't use single-line address entry, and has some other drawbacks), the next best way (google maps) requires an internet connection to get the address or location to the nav module. It is way past time to update this. Sometime shortly after this thread was posted the built in Windows Maps app got the multipoint routing "+" ability added. It will also offer multiple possible routes if it makes sense in a given situation. So now it is a very flexible and powerful routing tool. That is really GREAT news. Thanks for posting that Ken! 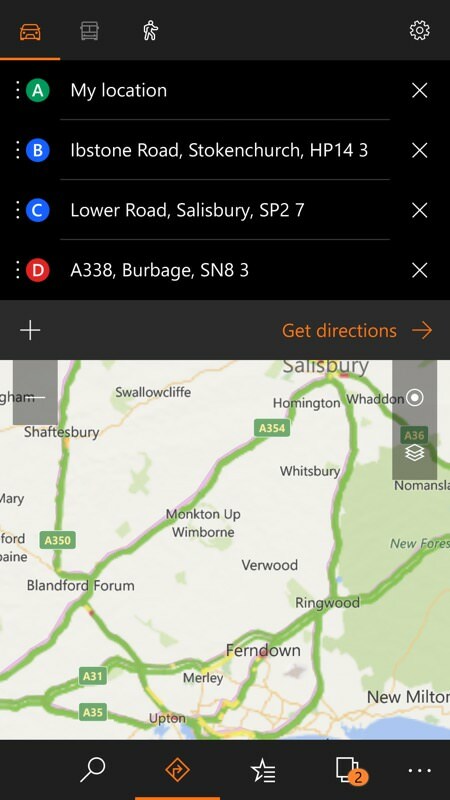 Here's how to plan a multi-destination route in Windows 10 Maps - this feature had only been available to 'Slow' ring Insiders until now, but as of today I can exclusively reveal that 'Fast' ring Insiders get it too. [Update: now Release Preview users too.] And in a few weeks all production Windows 10 Mobile users will get it, as part of the rollout. So here's how the new feature works! For completeness, the new app version that's available is v5.1703.707.0 - as with the OS builds, the '1703' bit means March 2017. It's worth reiterating that the Win10 Maps app outperformed both Googlemaps, TomTom and CoPilot in some aspects of the testing done last November (e.g. : at finding the correct entrance to several different test locations). With CoPilot (Windows) available for $20 as an alternative, and with S&T still useful and functional on Win10 after all these years, the availability of multipoint routing on the Win10 Maps app sort of completes the trifecta, making Windows the premiere mapping/nav platform for people who take doing this seriously. Ken, since you've probably tested the Win10 Maps app more than anyone else here, can you confirm that it works with an external USB GPS receiver via GPSDirect? I have tested it using a GlobalSat S4 GPS and can confirm Win 10 Maps sees it with the assistance of GPS Direct (GPS Complete) by setting a sensor driver on the appropriate COM port at 4800 bps. I hope it will work at a higher rate than that too, as I intend to use it with a 5Hz GlobalSat S4 receiver. The bulkhead mount versions are available now at an excellent price on ebay. I just never move that fast. Ok, I'll see your 5 Hz and raise you 5. I just tested GPSDirect with the Garmin GLO, a 10 Hz device. It seems to work fine but I have only had the opportunity to test in a static location. The nice thing about BT devices is you needn't specify a bit rate in GPSDirect. I had an opportunity to test the Win 10 map program using a Garmin GLO and GPSDirect in a moving situation. The test was with my Microsoft Surface 3 and was about 15 minutes. It worked perfectly however, although the GPS updates 10 times per second, the map appears to update only once a second. So a faster than one update per second would buy nothing if using this arrangement.